The art of filmmaking is a beautiful process that takes a lot of hard work and dedication. All of the responsibility falls on one person; the director. The job of the director is to expand and carry the vision of the film. He or she is responsible for turning the words of the script into actions on screen. The director also controls the tone and what the audience should attain from the film. The men and women who helm film projects deal with a variety of topics. During each decade, there are films that deal with controversial topics. From the late 1960’s to the late 1970’s there was one taboo subject that filmmakers were daring to tackle: the Vietnam War. From The Green Berets, to Coming Home, to The Deer Hunter there were plenty of choices of Vietnam War movies. However, there was one director wiling to take it to the next level. Francis Ford Coppola, mostly known for directing The Godfather trilogy, was ready for his own take on the war. He signed on to direct, Apocalypse Now, the war movie that was going to shock the world. Unfortunately, what became a movie about the cruelty of the Vietnam War actually became Coppola’s own personal war. 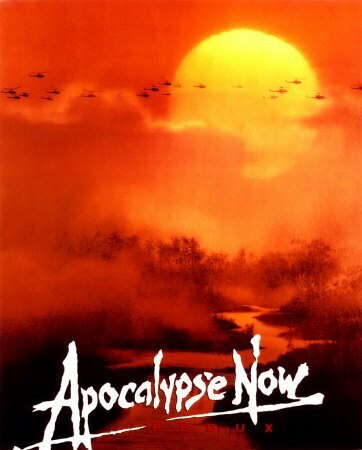 The origins of Apocalypse Now can be traced back decades before the film was actually in production. According to one film critic: “Several people claimed to have first thought of resituating (from the Congo) and updating Joseph’s Conrad’s 1902 short novel, Heart of Darkness, for the screen” (Bergan 53). The idea of adapting Conrad’s novel onto screen had always been around, and was thought as a great idea. The book’s themes and plot would allow for a great showing on the big screen. However, nothing ever materialized and the idea was left in limbo for a while. Finally in 1968, young screenwriter John Milius, decided to transport the Heart of Darkness’s plot into the Vietnam world with a couple of changes. John ventured into writing the screenplay, and had his friend, George Lucas, ready to direct the film (Cowie 120). Along for the ride was their friend, Francis. His studio, American Zoetrope, and he were willing to produce the film on the small budget of $2 million. However, it was not this easy: “Unfortunately, Zoetrope was not in the position to finance the film at any price, and the project was shelved until the summer of 1974, when Coppola resurrected it” (Schumacher 185). During this time, Francis bought the rights to the script, and was determined to get this film made. He first approached Lucas to direct the film, but Lucas was too busy trying to get Star Wars made. After Lucas rejected him, Coppola turned to Milius. However, Milius had no intentions on directing the movie (Schumacher 186). Coppola liked the idea of this movie and the script. However, it seemed that Coppola was hesitant on being fully invested in this movie. Eventually Coppola had no other choice but direct the film himself. Leading the creative team Coppola wanted it his way. Coppola wanted to make a change that had always bothered him. After securing the directors’ chair, Coppola demanded a rewrite of the script. So John Milius began on the rewrite. However, Coppola proved to be a tough man to please: “Milius rewrote the script, and Coppola rewrote the rewrite” (Goodwin and Wise 198). Since Coppola was in charge of the film, he wanted to be sure that he absolutely had the best script possible. Both men had different views about the war, and this is what drew them apart. This affected how each of them wanted the film to turn out. Coppola began the rewrite, but he did not change everything completely: “Coppola always maintained that the core of the screenplay was John Milius’s work, and that his (Coppola’s) main contribution was bringing the plot closer to Heart Of Darkness” (Schumacher 192). Milius did not like Coppola’s version of the script, but that was not going to stop Coppola from continuing forward. Coppola had certain themes he wanted to discuss in the script as well. One of them was “about the war and the human soul” (Schumacher 195). Through this film he wanted to make a statement on war, in general, but he also wanted to make a commentary on the human soul. Coppola wanted to dive into psyche of humans to see what goes on during the different stages of war. After getting the script to a more acceptable level, Coppola was given even more power: “Coppola was given full control of the movie from his co-investor, United Artist” (Goodwin and Wise 212). As production continued Coppola emerged as the director, the producer, and the screenwriter of this film. He had all the power he wanted, and this film was turning into something much more than just a film. As a director, one of the main goals is trying to stick to the truth as much as possible. Coppola wanted to portray the events of the war carefully and accurately, but he also wanted to put his own interpretation of the events in the film. In 1975, Coppola took a trip to the nation’s capital. During the trip, Coppola scheduled a meeting with the Pentagon and the Department of Defense. This was Coppola’s goal: “He was approaching the Pentagon, he said, because he hoped the Department of Defense would help him with some of the research for his films, as well as supply him with stock footage for studying purposes” (Schumacher 195). Getting help from the government of the United States and the Army would be an enormous help. Coppola would gain insight and information that would potentially propel his movie into something that would be very realistic and unique. With high hopes in mind Coppola gave them a rough draft of his script. Unfortunately, the Army was not willing to cooperate. United States Army Chief of Information said: “If he wants to make a bundle with the type of garbage, so be it. But he will do so without the slightest assistance from the Army” (Schumacher 196). After the Army’s decision, the Department of Defense tried to prevent itself as a mediator. They wanted some form of a compromise, but Coppola balked at the idea (Phillips 147). He did not want to jeopardize his work in order to work with the Army. Coppola believed that his overall message was far more important. With the unsuccessful meeting with the Army in his rearview window, Coppola was ready with the next two steps of production. Coppola and his team moved on to finding the right location, and the right cast for this film. One proved to be more stressful than the other. First, he decided where the film was going to be filmed. This was a quick and easy process, and Coppola decided on the Philippines as the location. While the sets were under construction, Coppola was starting the process of casting of the film (Phillips 147). This proved to be Coppola’s most difficult task yet. The whole casting experience was a trying, and a miserable process. Coppola and his distributors agreed on getting big name actors to star in this film. Being the Academy Award winning director that he is, Coppola thought that he would be able secure the stars for the movie. It was a privilege to work with a director like Coppola. However, as days turned into weeks, and weeks turned into months nobody was willing to be a part of this film: “Several actors, including Al Pacino, whom he wanted to play Willard, were not willing to spend several months filming in the jungle” (Phillips 150). Acting in a movie takes a lot of hard work no matter the movie or the location of it. Filming in the Philippines would add a lot of unnecessary difficulty to the crew. Filming would not be easy due to the extreme heat and the cultural differences. Thus, making this film less attractive to numerous of actors. Coppola was not giving up, but he was becoming more frustrated with the whole process. He was losing his patience, and he kept trying his luck with a lot of different types of actors. However, everyone kept rejecting the offer, and at this point Francis was feeling betrayed (Phillips 150). He had helped advanced the careers of many actors, but now these actors were turning their back on Coppola. At one point Coppola was so angry: “Francis Ford Coppola snatched up his five Academy Award statuettes, marched them to the window of his Pacific Heights estate, and flung them into the courtyard, smashing four of them to pieces” (Schumacher 197). Coppola was approaching the point of no return. He realized that his past success would not matter one bit in this movie. He had to start fresh, and reestablish his trust with himself and the actors. After getting four young actors’ commitment, Coppola was able to break through with Marlon Brando, and soon after Brando signed on to play Kurtz (Schumacher 198). Then he finished casting by signing Martin Sheen to play the other lead, Willard (Schumacher 198). Momentum was finally swinging his way, and the movie was taking form. It seemed as though Coppola kept running into the worst of luck. As soon as they were ready to film, Coppola was hit with another problem. This time it was the weather. A typhoon hit the Philippines. The constant rain was becoming an annoyance, and it was hurting Coppola in the pocket as well: “The production, $2 million over budget and six weeks behind schedule, became further bogged down by the rains and typhoon damage” (Schumacher 209). Coppola insisted that he wanted to get through this, and get past this stage. He believed that this would be only temporary, and things would get sunny again. As the leader, Coppola had to stay in this mentality if any good was going to come of it. However, this attitude did not last: “In early June, Coppola finally surrendered. The storm, now officially upgraded to hurricane status, offered no signs of weakening, and the sets needed to be rebuilt” (Schumacher 209). Coppola called a stop on production for roughly six weeks. This was raising doubts among all of the parties involved. The distributors were getting worried if this was ever going to get off the ground, or if this was going to be a huge waste of money (Schumacher 210). All of the pressure was on Coppola, and he knew it too. As the director and the producer Coppola was the face of this project. He needed to carry the crew and the movie the whole time. As the production dragged on and on Coppola put more of his own money into it. However, this suspension might have helped Coppola in the long run (Cowie 123). This time allowed him to return to California for two months and put more work into the script, which all along still bothered him. Since Coppola took over the creative responsibilities of this film; he always had a strong idea on how he wanted this film to be made. He knew what message he wanted to get across to the audience. In an interview Coppola said, “It was my thought that if the American audience could look at the heart of what Vietnam was really like- what it looked and felt like- they would be only one small step away from putting it behind them” (Cowie 124). Coppola wanted the audience to feel that this film was the closing chapter on the Vietnam War. America was out of the war, but the lasting effects of it was still a part of America’s culture. With this film, Vietnam should become an afterthought. Even though he had his message set he was still uncertain of the two main characters. His wife, Eleanor, recalls in her diary: “Now he is struggling with the themes of Willard’s journey into Kurtz’s truths that are in a way themes he has not resolved within himself” (Goodwin and Wise 218). As Francis was making another rewrite during the hiatus, he tried to fix the problems of the script by dealing with it on a more personal level. He tried to relate to his work and his characters. By diving into the minds of the characters, especially Kurtz, he was diving into his own mind as well. It proved to be extremely beneficial for the characters and the movie, but it hurt Coppola just as much. Coppola was getting restless in California, and wanted to start filming. What he didn’t know at the time was that it was going to get more difficult for him. Troubling times were waiting for him. The schedule and actors were the main reason for the trouble. Finally, the hurricane passed and the film was ready to go back into production. Francis feeling rejuvenated was eager to get back to work; of course, that feeling soon faded. When they got back to filming he wanted to see more out of his actors. He wanted Sheen to become more angry. Coppola also had a lot of problems with Brando. First Brando showed up to the set dangerously overweight, and unprepared. This drove Coppola completely insane: “Let me out of here, let me just quit and go home. I can’t do it. I can’t see it…This is like opening night; the curtain goes up and there’s no show” (Bergan 57). Working with a difficult actor is like working at a day care center with a bunch of five year-olds high on candy. Coppola was at the brink. He put a lot of time working with Brando making sure that Brando can act properly. At times Coppola felt that he was doing all of the work, and not getting the desired results. Finally, Marlon began to cooperate when he finished reading The Heart Of Darkness, and understood Kurtz better (Bergan 58). Besides getting on the same page with his actors, Coppola had a lot of other problems as well. Some of them included time, schedule, and money. He had a lot of pressure on him, some of it coming from himself, and the other part of it was coming from wanting to please other people. These troubles stayed with him twenty-four hours a day: “I thought I was going to die, literally, from the inability to move the problems I had. I would got to bed at four in the morning in a cold sweat” (Cowie 119). Stress and pressure is never a good combination, and eventually those two factors will take its toll on a person both mentally and physically. At one point Eleanor claimed that her husband was having “a short nervous breakdown” (Phillips 156). The anxiety was mounting, and was affecting Coppola tragically. He had never put this much time, effort, and thought into one film. Unfortunately, the worst was yet to come. Coppola was on the brink of madness. He began to lose sight of himself, and his morals. Days and nights were full of misery, and torture. During the day, Coppola would be directing in the grueling heat, and fighting to push his actors to their extreme. Then at night Coppola would stay up late at night paranoid about the script, and the morality of the characters. Along with the human soul as being a major part of the theme, Coppola also wanted the characters “to deal with their own morality” (Cowie 125). However, when Coppola was concerned with the characters own morality, he lost his sense of his own morality. During this long production, Coppola began a romantic relationship with a young assistant director. Whether it be the long, hot days in the jungle, or him trying to blow off steam he fell in the arms of a mistress (Cowie 126). It is very ironic that this would happen to a man that always said he had high values and was a family man. The jungle and the movie were turning Coppola into a new man. He was losing himself in the process. According to his wife, who didn’t know about the affair, Coppola was beginning to change: “More and more it seems likes there are parallels between the character of Kurtz and Francis. There is the exhilaration of power in the face of losing everything, like the excitement of war when one kills and takes chance of being killed” (Cowie 123). Coppola had everything on the line. His money, his name, his legacy, and his marriage was all on the line. At one moment he was on top of the film industry, the next he could be seen as a director pass his prime. While Kurtz was one of the best soldier, but soon he became an outcast. Swept up in the madness of the war, and lost his sanity. Coppola was afraid of the same outcome. He did not want to fail, and as a result it was driving him to do things he would have never done. He began to question every decision he made, and became more conscientious with the script, and every scene. Coppola started to face all of his fears. From the fear of death to the fear of failure. At one time he even questioned what was he doing there (Bergan 57). He began doubting why he was making this movie. Much like how the Americans were questioning America’s participation in the war. Soon all of this mental abuse turned into a physical threat. Through all of this turmoil surprisingly the movie was being filmed. It was continuing, even though Coppola was struggling with his own sanity. Everything came to halt when Coppola finally collapsed (Bergan 57). In her diary Eleanor opened up about her husband’s health: “Coppola himself collapsed, both physically and emotionally. The film had become his own personal Vietnam” (Bergan 57). A person can take so much, before the body just shuts down, and that is what happened with Coppola. All the trauma he received finally caused him to stop. His family begged for him to take a break, and Coppola complied.. However, it was only for a short time. Feeling better Coppola returned to his hell. He saw the finish line, and knew he can get there before it would be too late. Finally, in May of 1977 filming wrapped. Francis recalled: “I’ve never in my life seen so many people so happy to be unemployed” (Phillips 155). It is safe to say that Coppola was included in this group too. The terror was over, but now a new terror began: post-production. Post-production took a long time as well. Being a perfectionist, Coppola did not have this movie ready for the public until 1979. The film opened up to rave reviews. Many critics calling it a “masterpiece” and thought it was worth the wait. One film critic said, “Where he does succeed brilliantly is creating a dual perspective on the war as both an internal and external nightmare” (Kinder 12). Creating an atmosphere where the audience can see the internal and external struggle was what Coppola wanted. As the audience views the film one can see the terror that goes on all around. To show the internal nightmare Coppola used the voiceover technique. Through the voiceover, the audience can observe what is truly bothering Willard. The film was nominated for eight Academy Awards, but on the big night took home only two of the eight possible Oscars. Looking back at the film, Coppola stands behind it: “My film is not a movie, it’s not about Vietnam. It is Vietnam. It’s what it was really like; it was crazy. We were in the jungle, there were too many of us, we had access to too much money, too much equipment, and little by little, we went insane” (Bergan 53). Coppola made the film as authentic as he could, and put a lot of heart into the film. He was wrapped into the film so much that the whole process turned into the actual war in front of the camera, and behind it. He was battling each and every day. Coppola also talked about his own downfall: “I turned into a Kurtz of sorts. I was a nice Kurtz, but I could do anything that I wanted. That’s what happened to me, because I raised everything financially, I had no boss” (Goodwin and Wise 212). Too much power is not always a good thing. It can lead to corruption, and can go right to someone’s head. Just like Kurtz, who was a god-like figure for a local tribe in the movie, Coppola was like the god of his film. No one could have told him want to do, and this definitely added to his ego, and ultimately made him blindly insane with power and control. Bergan, Ronald. Francis Ford Coppola Close Up: Making His Movies. New York: Thunder’s Mouth Press, 1998. Cowie, Peter. Coppola. New York: Charles Scribner’s Sons, 1989. Goodwin, Michael and Naomi Wise. On The Edge: The Life and Times of Francis Coppola. New York: William Morrow and Company, Inc., 1989. 12-20. JSTOR. Web. 26 April 2011. <http://jstor.org/stable/1211972>. Schumacher, Michael. Francis Ford Coppola: A Filmmaker’s Life. New York: Crown Publishers, 1999.